If you had a look recently at the sidebar of this blog, you may have noticed that I added a link on what is RSS just next to the subscription button. This sends you to a page featuring a great video by the Common Craft Show. This company didn’t stop right there and did the same thing to explain CFL light bulbs in plain English. In three minutes, those of you who still haven’t switched to these marvels will be convinced to take this first step towards decreasing your bills and CO2 emissions. US electricity is indeed made out of 50 percent coal. Many countries in the world share this percentage : Germany, Australia, China… This is a real problem as coal emits around one kilogram of carbon dioxide per kilo watt per hour. CFL cut the consumption by a factor five and not by four. In any case, you got the picture, it makes a huge difference on your energy bills. 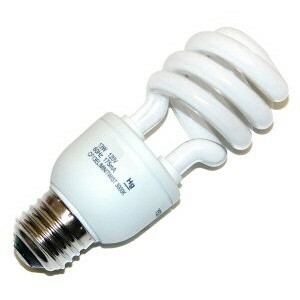 Replacing the light bulbs is quite an icon for the energy efficient and conservation movement. But it is only a small step as they are many others things you can do to decrease your utility bills. Common Craft does a GREAT job explaining technical stuff in a convenient and cool way. If you are not convinced visit their website. Subtitled versions of this video exists in 13 languages including Portuguese (special message for Alexandre at Blog do Planeta ), Arabic, Chinese, German, Spanish… So there is no reason this message doesn’t cross borders ! ← Arctic oil… Should we drill and burn it ?